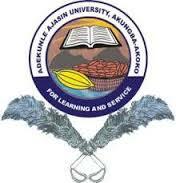 Adekunle Ajasin University, Akungba-Akoko, Ondo State Institute of Part-Time Programmes (IPTP) Diploma, Undergraduates and Postgraduate, Professional Masters Degree Part Time Admission Forms, Courses, Requirements, Application Method for 2018/2019 Academic Session. The Institute of Part-Time Programmes (IPTP) of Adekunle Ajasin University, Akungba-Akoko (AAUA), Ondo State, invites applications from suitably qualified candidates for admission into its DIploma, Undergraduate, Postgraduate and Professional Masters Programmes for the 2018/2019 academic session. recognized by the Senate of this University. Ensure to print your acknowledgment and await sms for your admission information on phone soon. MAKE SURE YOU LOGOUT FROM YOUR APPLICATION WHEN YOU ARE DONE. NO APPLICANT SHOULD COME TO AKUGBA FOR SUBMISSION OF HARD COPY/PHYSICAL FORM. ONCE YOU SUBMIT ONLINE , ITS DONE. BEWARNED. No deadline/closing date specified yet.